The little Wittians of Junior KG at Witty World, Bhilwara were introduced to yellow colour on Wednesday, August 01’ 2018. 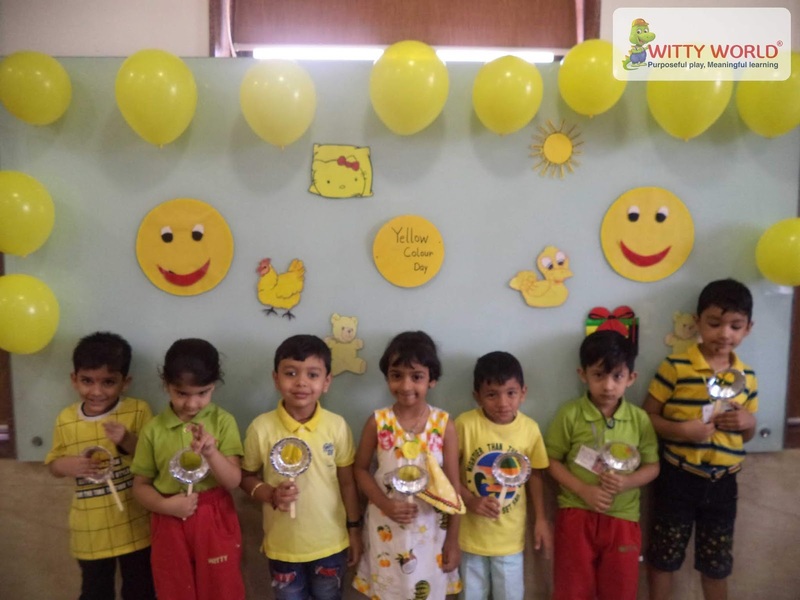 Children and teachers came to school in yellow coloured clothes. The classroom was decorated with yellow coloured objects and balloons. 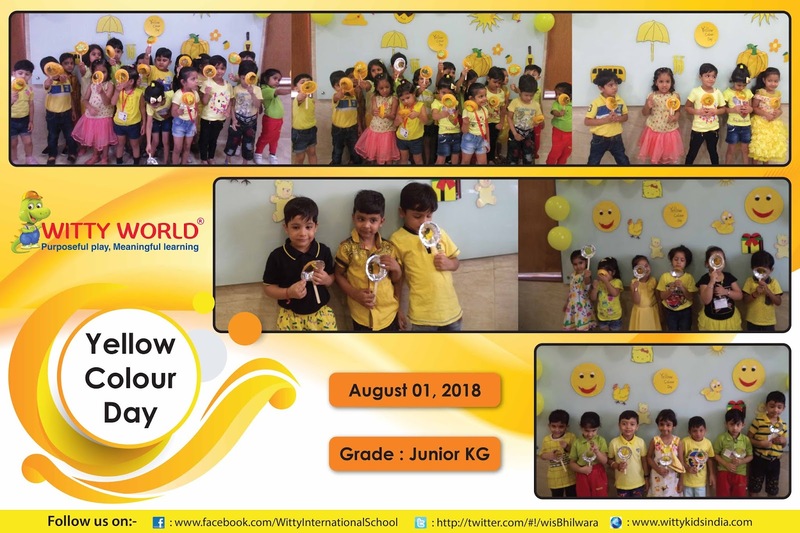 Yellow is the colour of happiness and holiness. 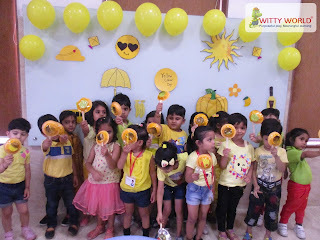 The kids could recognize the yellow colour with fun activities like making yellow colour magnifying glass. The day was bright as yellow for the kids.